We provide a safe place for children to learn and play while parents are working or just need a morning or evening out for themselves. 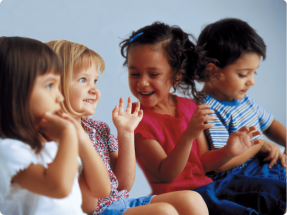 We offer daycare, after school, summer, and school holiday programs. Our conveniently located camps will make your child's downtime from school fun and healthy! 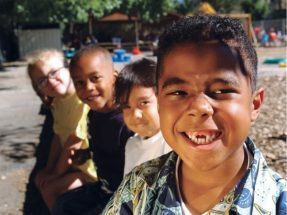 The YMCA promise: everyone plays, everyone wins. 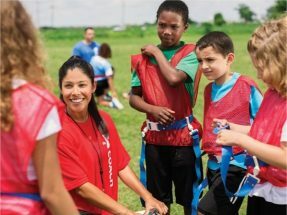 All YMCA Youth Sports strive to enhance every child’s personal growth, sports skills, and character development. We offer teenagers the opportunity to develop leaderships skills in a variety of exciting programs. 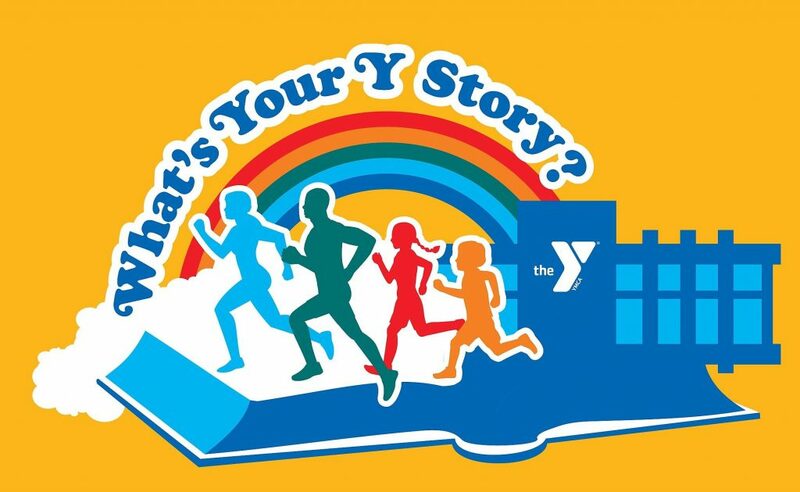 The Y encourages good health and fosters connections through fitness, sports, fun and shared interests. 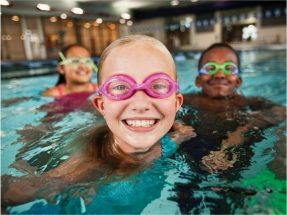 The YMCA is virtually synonymous with swimming—we offer a variety of swimming and aquatics for those just learning to swim to master swimmers. 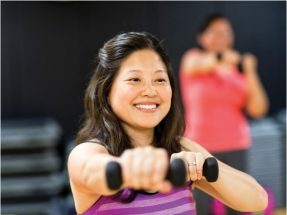 We offer a range of fun, healthy activities for adults of all ages and fitness levels. We don’t just operate within the YMCA walls, we are engaged in our communities wherever there is a need. 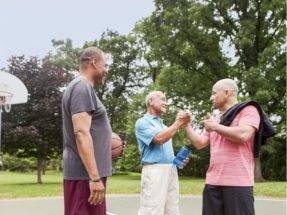 Expand your knowledge, maintain your health, and gather with your peers through one of the many community programs we offer. 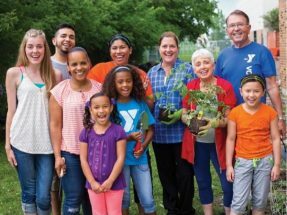 The YMCA Annual Giving Campaign is your opportunity to give back to your less fortunate neighbors by donating money that offsets the cost of membership and programs for them. 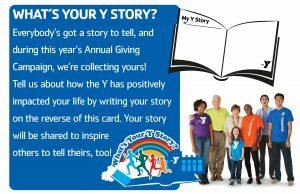 This year’s My Y Story theme is evident throughout the branches with activities to help you get into the spirit of sharing your Y story as well as learning about other members through theirs. 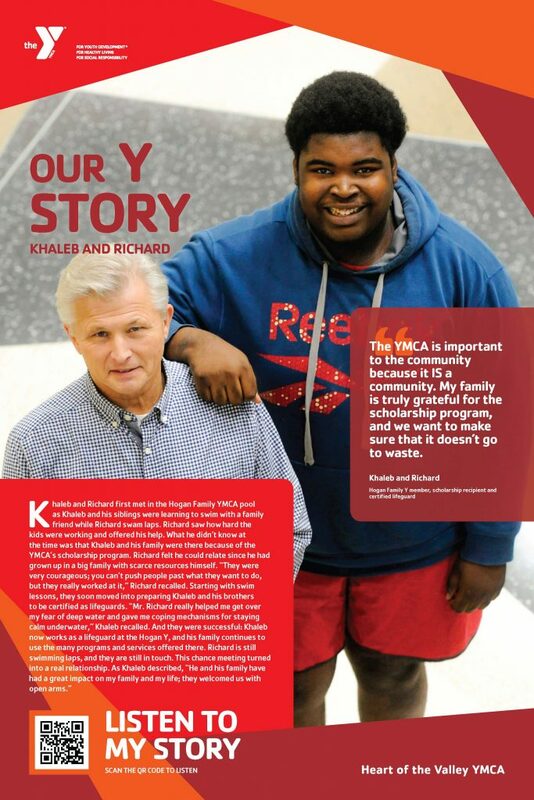 Be sure to look for mY Story posters to learn about members like Khaleb and Richard whose love of swimming brought together two generations and two families. You can scan the QR codes on the posters with your smart phone to hear the story and share with others. 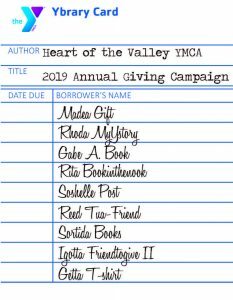 You can give back by donating books to the Togetherhood book drive and participate in other inspiring and fun volunteer tasks listed on your Ybrary card to earn a souvenir T-shirt! You can pick up a Ybrary card at the Member Services Desk – it’s fun for kids, too! Receive announcements about weather delays & closings, program info about special events, kids camps, sports, and group exercise schedules, all delivered right to your inbox.